Update: the official Just Cause 3 system requirements have now appeared on the Steam page of the game and they are a bit different from the ones leaked below. Specifically, they are a bit higher in terms of both CPU and GPU. Original story: Thanks to a leaked back cover image, we are now aware of the official Just Cause 3 system requirements. These are some very reasonable system requirements, especially since the game features a huge open world and some pretty complex, albeit exaggerated, physics. 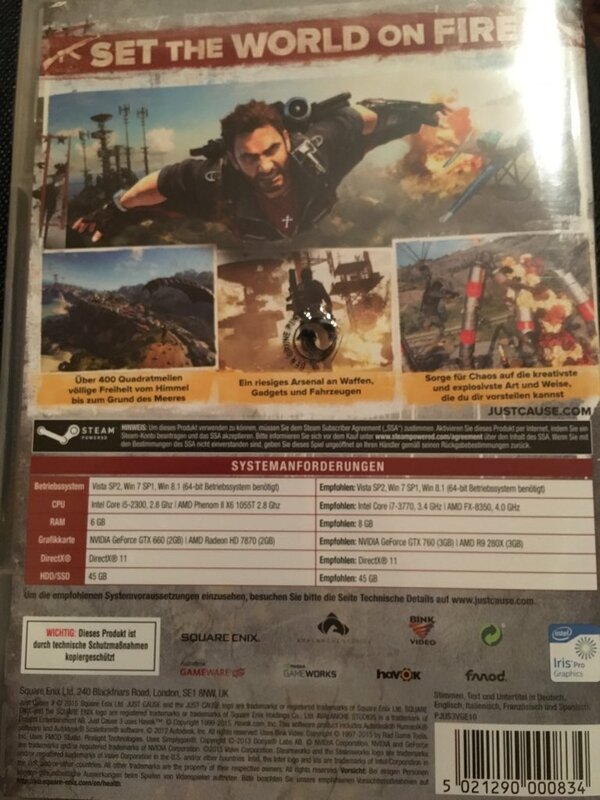 The back cover also includes the NVIDIA GameWorks logo, though it is unclear at this point how it will be used in Just Cause 3 – when we reported the graphics settings from Paris Games Week, there was no mention of either HBAO+ or TXAA. 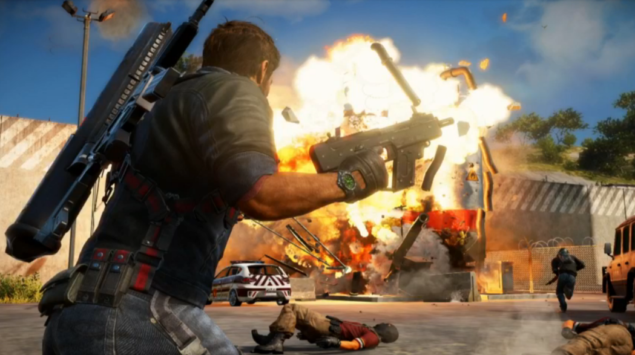 Just Cause 3 is set to debut on December 1st for PC, PlayStation 4 and Xbox One, unleashing RIco on the fictional island of Medici (inspired by Mediterranean islands) with the mission to overthrow yet another dictator. The game will run at 1080P on PlayStation 4 and 900P on Xbox One, though the frame rate for the console versions is still unconfirmed (but likely to be 30FPS); on the other hand, here’s a look at Just Cause 3 PC rendered at 4K. Just remember that it will take you a lot of power to play it smoothly in that resolution! Finally, here’s the latest dev diary which focuses on the Avalanche Engine that powers the game.